Replacing a central air conditioning system isn’t something that many homeowners look forward to, if only due to the high costs involved. It takes an average of $3,692 to $7,134 to have a central A/C system installed. It’s no wonder that many homeowners decide to cut costs wherever they can. 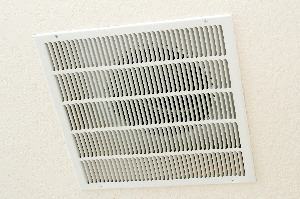 Some even try to save money by replacing only half of their central A/C system. Partial replacement of a central A/C system may seem like a financially smart thing to do, but this penny-wise action could end up becoming pound-foolish in many ways. If you’re wondering whether you should replace only part of your A/C system or replace the entire system, you’ll want to read on to find the right answers. Performance is usually one of the first casualties of a mismatched central A/C system. Putting a brand-new outdoor condenser unit together with an older indoor air handler unit could result in reduced overall cooling performance. To put things into perspective, imagine two horses pulling a heavy cart. A partial A/C replacement is akin to replacing only one of the horses when both get tired. As a result, the fresh horse can only do as much work as the tired horse is still capable of. Over time, this mismatch in A/C performance can lead to increased wear and tear on both halves, resulting in more frequent repairs and a shorter lifespan for the entire A/C system. Partially replacing your central A/C system can also prove to be a waste of money in the long run. Although you might save a little money now, you could end up with higher maintenance and upkeep costs. Mismatched A/C systems also tend to use more energy than a properly paired A/C system, resulting in higher annual utility costs. In addition, the shortened lifespan of your A/C equipment means you’ll end up spending more on your next replacement. If the older half of your A/C system fails shortly after your partial installation, you’ll find yourself with an uncomfortable choice—performing yet another partial replacement that could cost you even more money or spending extra money on a properly paired central A/C system. In most cases, incompatibilities between your current central A/C equipment and the latest units currently on offer may put a damper on any attempt to mix-and-match your indoor and outdoor halves. For instance, you may be using A/C equipment that still calls for R-22, an older refrigerant that is currently at the center of an ongoing phase-out campaign due to its negative impact on the ozone layer. This refrigerant can’t be combined with most of the newer types of refrigerant available, including R-410a. Both refrigerants use different lubricating oils and operate under different pressures. Linking a system that uses one with the other could result in severely damaged A/C equipment and possibly even a risk of injury, in some cases. Even if you do manage to somehow get your mixed-and-matched A/C system working, you might not be able to benefit from your A/C equipment warranty for either unit. Most warranties specify that both the indoor and outdoor halves of a central A/C system are to be purchased and used as a single unit. As a result, using different halves could automatically void your warranty for both halves, leaving you on the hook for any repair costs that could have been taken care of by your warranty. In short, partially replacing your central A/C system could make you lose out on energy efficiency, long-term performance and any savings you were looking for. If you need new cooling equipment for your home, then it’s best to replace the entire system instead of gambling on a partial replacement. For a free estimate on your next A/C system installation, don’t hesitate to contact us.